Baptismal clothing for spring or summer baptism. Two color combinations one in gray and blue and the other in beige and baby blue. Their trousers are cotton and their jackets light and cool with beautiful contrast details. Combined with matching color shirt, with braces and trendy wooden bow tie. 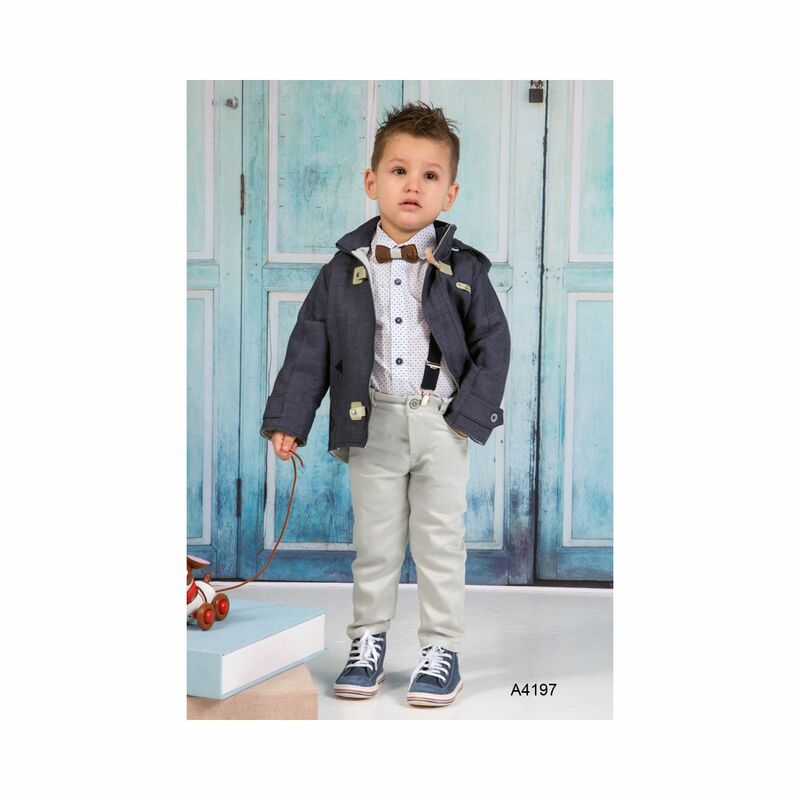 https://www.preciousandpretty.com/2018/07/baptismal-suits-for-boys-A4197.html Greek Wedding Favors|Orthodox Crowns|Stefana|Baptism Invitations Baptismal suits for boys A4197 Baptismal suits for spring or summer greek baptism. Two color combinations in gray-blue or beige-baby blue. Product #: Greek Wedding Favors|Orthodox Crowns|Stefana|Baptism Invitations_8223212123762768778 5 stars out of 5 reviews.